The New Generation Toshniwal Mixer has the unique “Fluidized zone” Concept that helps in gentle mixing action with short duration to achieve a homogeneous mixing of the various materials (ie) both dry and liquid ingredients need for RTE break fast cereals such as corn flour, Whole wheat Flour, refined wheat flour, salt, wheat starch, sugar and white or brown rice and emulsifier lipid, colours and moisture etc. 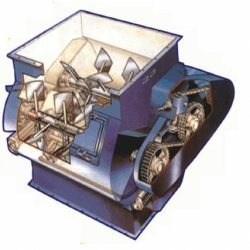 The mixer has a proven performance in the case of conventional “ Bujia Mix” where the product demands the homogeneous mixing of ground basin flour dhal powder with masala powder and uniform oil addition to achieve lump free mass consistency to feed the extruder and to get the desired quality product and to achieve the maximum productivity. Also the high mixing accuracy combined with gentle mixing action features of the mixing equipment is ideally suitable to use as coating unit for the extruded product for spraying the oil and dry seasoning and flavour dusty etc. 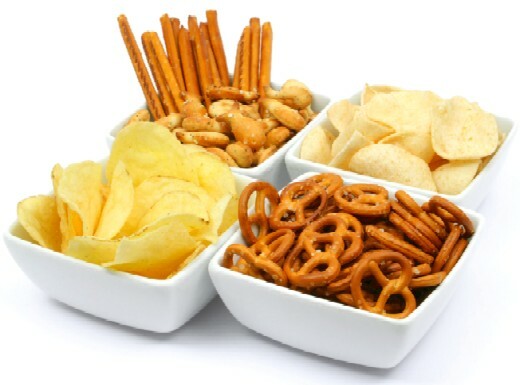 Alternatively oils, flavours, spices etc are mixed together and the mixed slurry can be applied with extruded snacks products.